In the book called Frankenstein, author Mary Shelley described an artifical man created by Victor Frankenstein who eventually goes on a destructive path of murder. Sadly, the population at large didn't know that a killer had been unleashed among them. Frankenstein was fiction created by an imaginative and fertile mind. But something has been unleashed upon an unsuspecting humanity that is potentially more destructive than the fictional Frankenstein monster. That "something" is known as genetically modified organisms or GMOs. Unfortunately, genetic modification is not a work of fiction. It is a cold, hard, and scientific fact. GMOs are silently and invisibly tearing their way through the majority of Americans. Scientists can only speculate what medical horrors are being created and, for now, lying dormant. In the 20th century, Frankenstein's monster has been replaced by GMOs and Victor Frankenstein is the Monsanto Corporation. Monsanto is the creator of the artificial sweetener aspartame, polychlorinated biphenyls (PCBs), and dioxin, more popularly known as Agent Orange, the defoliaging chemical used in Vietnam. All of Monsanto's chemicals have proven deadly and extremely harmful to human life. PCBs are toxic and can cause sexual, skeletal, and mental developmental issues. Americans who served in Vietnam reported Agent Orange as causing skin rashes, breathing difficulties, various cancers, and birth defects in kids. Aspartame has been implicated in causing cancer and obesity. In Mary Shelley's novel, Victor Frankenstein wasn't evil. He didn't create the monster to kill. However the monster itself turned out to be evil. Likewise I wouldn't go so far as to say that Monsanto is evil although it has evil intentions. But its various creations are definitely evil. Once upon a time, prior to 1980, the United States Patent and Trademark Office did not grant patents on seeds; the reason is that they viewed seeds as life forms with too many varibles to be patented. But in 1980 the United States allowed for seeds to be patented. Since the 1980s, Monsanto has globally dominated the genetic modification of seeds. Farmers who buy Monsanto's Roundup Ready seeds have to sign an agreement in which they promise not to save seed produced after each harvest for replanting, or sell it to other farmers. They are forced to buy seed anually from Monsanto. 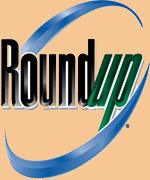 Roundup is an herbicide used to kill weeds. The active ingredient in Roundup is glyphosate which was developed and patented in the 1970s by Monsanto. Monsanto makes seeds genetically engineered to be resistant to glyphosate. 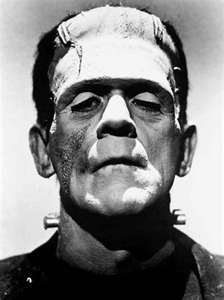 Just as Frankenstein's monster roamed unchecked among the people, likewise genetically modified (GM) crops. Up to 90 percent of all major U.S. grown crops are GM. They can be used in human and animal food without any safety testing whatsoever or labeling of any kind. Because genetically engineered crops are patentable, Monsanto can legally discourage third party testing and research. As a matter of fact, they have severely restricted independent research and have adamantly refused to give seeds to independent researchers. All of this falls under U.S. law which protects a company's "proprietary" formulations and processes. GM crops include corn, soybeans, canola, cottonseed, alfalfa (as of 2011), and sugar beets. These food items are currently found in approxiamtely 80 percent of all U.S. grocery store items. But what is the concept of genetic engineering? Simply put it is taking DNA from one organism and placing it into another organism to produce a desired effect or outcome. Here's an example. 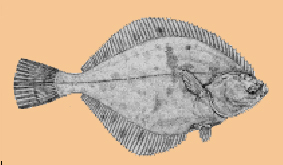 The Arctic flounder can withstand freezing temperatures - tomatoes can't. Freezing temperatures can devastate a tomato crop. In order to prevent farmers from losing money from ruined crops, scientists can take DNA from the Arctic flounder and put it into tomato crops to give them the ability to survive frigid temperatures. What, you may ask yourself, is the harm in that? GM has been given "carte blanche" status; they have been declared as GRAS (generally recognized as safe.) This is despite the fact NO studies have been undertaken to prove their safety. But there exists plenty of studies showing the dangers they pose to laboratory animals. Source: Mercola.com article This Should Be Banned: Found in 80% of Supermarket Foods; May 20, 2011. The alarming side effects of GM doesn't end here. It has been found to create environmental problems too. Weeds are developing a toleration for Roundup; Roundup-resistant weeds are forcing farmers to use ever-increasing amounts of the deadly chemical. There has been cross pollination between GM and non-GM crops. This situation could spell the end of the organic industry. An example of cross pollination and contamination occured in Hawaii. In 2004 widespread contamination of papaya crops by GM varieties was reported. Even seed stocks sold as conventional were discovered to be contaminated, and which threatened the existence of organic papaya. There is the contamination of waterways by Cry1AB, a specific type of Bt toxin from GM crops. GM also is responsible for the creation of never seen before pest problems. In China, cotton that was genetically modified to poison an insect pest (the bollworm) has been found to cause a dramatic increase in the number of other pests. Mirid bugs which had been a minor nuisance in northern China have multiplied 12-fold since 1997. The United States has not escaped Roundup side effects. It has created a plethora of what has been called superweeds. At present there are 10 different species of superweeds resistant to Roundup, and spread over 22 states and millions of crop acres. 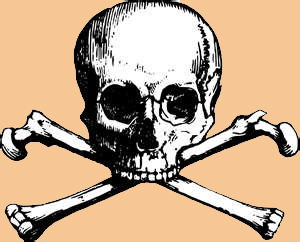 I associate GMOs with the skull and crossbones. As a symbol of danger or something very harmful, it effectively communicates that genetically modified foods and products should be avoided at all costs. Did you know that GMOs are banned in Europe, and have been for over ten years? Its true. And the way it is done is simple. It was just a matter of educating the consumer. The likelihood of the American government sponsoring consumer education regarding GMOs is about as likely as me winning the lottery. Unfortunately there is a mass conflict of interest between corporations like Monsanto and the FDA. Products which contain GMOs are not even required to be labeled. The only way for you as a consumer to avoid them is to buy strictly organic. The overwhelming majority of processed food are made from soy or corn - or maybe even both. Over 90 percent of both crops are genetically modified. Unfortunately, GMOs are not limited to processed foods. You will inevitably ingest them from dairy products and conventionally raised meat. All products from dairy cows which are treated with the genetically modified growth hormone rBGH need to be avoided. Factory farmed meat which is the conventional meat you will find in your local supermarket should be avoided too. The animals are fed GM grain. Aspartame is derived from GM microorganisms. The genetic engineering of plants and animals began in the mid '70s. Back then scientists thought that chracteristics of organisms are hardwired in their genome. However, geneticists soon discovered that the genome is dynamic and fluid. It was utterly impossible to predict what might happen, and completely beyond the geneticist's ability to engineer a desired result. There is no increase in crop yields. GM soy decreased yields by up to 20 percent compared with non-GM soy, and up to 100 percent failures of GM cotton have been recorded in India. There is no reduction in pesticide use. USDA data showed that GM crops increased pesticide use by 50 million pounds from 1996 to 2003 in the United States. Roundup herbicide is harmful to animal and human life. This product is lethal to frogs and toxic to human placental and embryonic cells. It is used on more than 80 percent of all GM crops planted in the world. GM crops harm wildlife. Wastes from GM corn impairs the growth of aquatic insects. GM foods and feed have been linked to sickness and death. When all is said and done, there are some things which should be left in the hands of God. Cloning is one and genetic modification is another. Scientists who "mess" around in God's province are playing God. I don't consider GM or cloning to be science. It is a blatant attempt to usurp God's authority which is what Victor Frankenstein did in Mary Shelley's novel. Nothing good will ever come about when man reaches into God's province. Since the government isn't doing anything to protect its citizens, we have to take matters into our own hands. Become educated as to the truth about genetic modification. And never forget, companies like Monsanto are profit driven. Their only concern is the bottom line - not you or your family's well being. This link will take you to a website where you can download a guide which lists what foods to avoid. It is located in the left column right above the Toothsoap ad. You can also view this video explaining GMOs.